Much is said about "the perfect gift for someone who has everything." 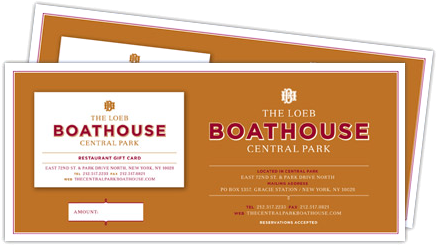 Which means much will be said about the inspired gift you share with friends and family – a restaurant gift card for The Loeb Boathouse in Central Park. Gift Cards can only be purchased in person.